Jarrod Johnson and Ben Smith had the opportunity to go to Germany last year and visit the Weyermann malt house to try a bunch of different malts. 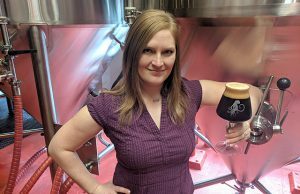 The head brewers for Minnesota’s Surly Brewing ended up using a new malt that the veteran maltsters brought in from the Mediterranean called Eraclea — a Pilsner malt — for Surly’s 12th anniversary beer. 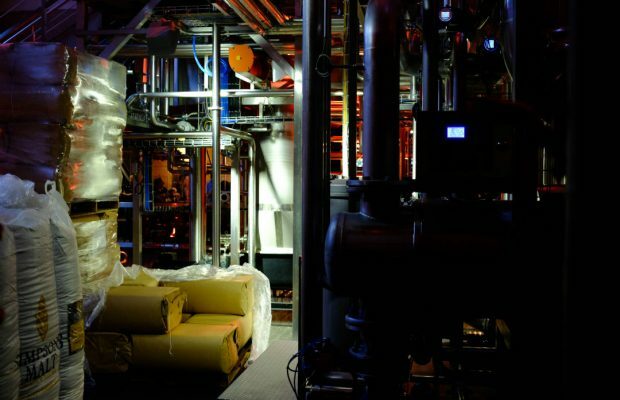 Although not as hyped as its fellow ingredient hops, the specialized malted barley market has grown and become more diverse with the rise of craft malting houses, both in America and overseas. In the last three years, Michael King, the Innovation Brewer for Rogue noted that there’s been a boutique movement. The biggest challenges are getting the volume a brewery like Rogue needs. For the brand new 10 Hop IPA, King pointed out that they needed 30,000 pounds of GoldPils Vienna Malt. At one point, Rogue Brewmaster John Maier shared that the brewery bought Mecca Grade Estate Malts malted barley from Steinbarts, a small homebrew supplier in Madras, Oregon, and brewed a beer with it, called Mecca Strata. 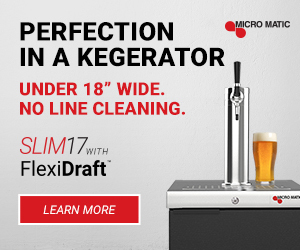 It’s a challenge for many larger breweries to being able to work with a maltster that can provide them with the amounts of grain or specialty malts that they would need for a regular production batch. But that doesn’t mean that breweries like Surly aren’t willing to work with a local craft malting house either. “Number one, it’s sustainable to buy malt that’s being locally produced and it supports our communities,” Smith said. “On top of that, it just gives [breweries] a lot more variety. You’re not just getting the same five malts that everyone else is getting from Breiss or Rahr or whoever else you are getting them from. “So it creates a lot of opportunity to make new and interesting beers. We’ve been seeing that with hops for the last decade. We’ve seen all the new opportunities coming out on a large and small scale and I think it’s kind of transitioning now to a lot of the craft maltsters where you’re seeing some new old heritage variety of barley being malted. 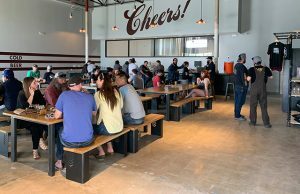 Armin Tchami, the General Manager for Hangar 24 says that they don’t have any small malt houses in Southern California that he is aware of, but they do utilize malts from some smaller malting houses in Belgium, Germany, and the UK. 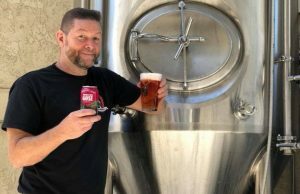 “We typically design a recipe with a particular malt in mind, whether it be an Oktoberfest-inspired beer that utilizes all German ingredients, or our Sour Brown that utilizes English Marris Otter as the base malt,” he explained. 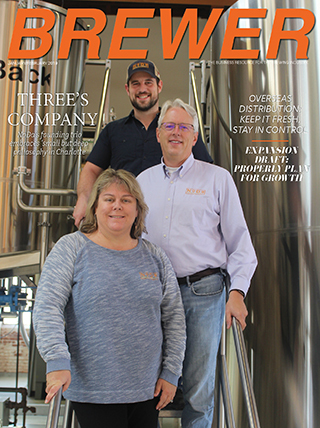 Karl Schultz of Third Street Brewhouse in Minnesota has been seeing some great small malt houses opening up in the Minnesota region, and there are new, larger suppliers that are becoming available all the time. Determining a rigid specification for a certain brew and helping adjust year-to-year, be it specialty malts or even the latest batch of two-row, can be critical to a brewery that is looking to stick to a consistency that consumers will come to know in the brand. “It’s rare, but if needed, we can update the malt bill to maintain the same color specs,” Tchami said. Adjusting color is one thing, manipulating taste is another and tasting the malt coming in is a key. Tchami says the Hangar 24 crew typically tastes a new crop of malt as they receive it. It’s as simple as grabbing a small handful and chewing on it. “We’re checking for the expected flavor profile, appearance, and friability,” he said. Sometimes those types of taste tests inspire Schultz to develop something new. Other times, they might find the perfect malt for an idea the Third Street Brewhouse team already got in the hopper. “When that happens, we’ll put our heads together and develop a recipe for a 10-gallon pilot brew,” he explained. But for Smith and Johnson, the biggest part is sensory. If the brewers have time and the opportunity to do a pilot batch on a small system, or use it in a beer that they know express that malt with relatively little risk then they cantry it there as well. King said that Rogue will brew with the new malts and test what comes through. “I then analyze the clarity, cost-effectiveness, quality, and [see] if it will work in our brewhouse,” he said. It’s mostly sensory based, noted Smith, who said Surly’s lab will end up doing a lot more up-front analytical stuff. There’s a lot more variety, and a lot more opportunity for all brewers. The biggest challenge now is just scale for larger breweries. “We need to make sure we can lock in enough supply if we’re going to start a new brand or launch a new beer we’ve got to be able to confirm that we can get enough malt to keep making it,” Smith said.